Yesterday, I babysat for the Baxters. 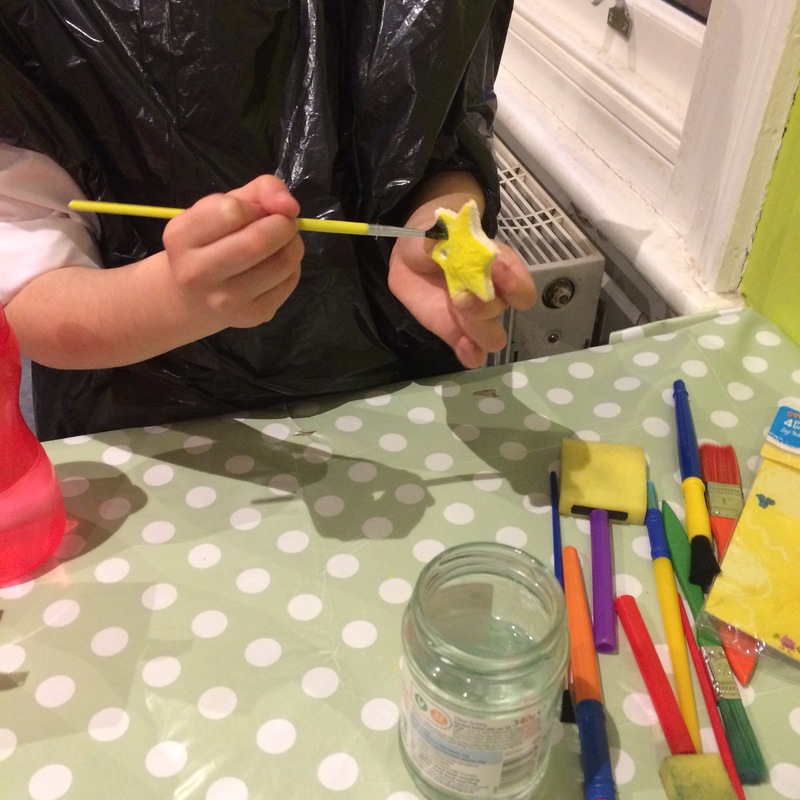 The children, especially the eldest, are really into making things and the youngest has been telling me that I don’t spend enough time playing with them! 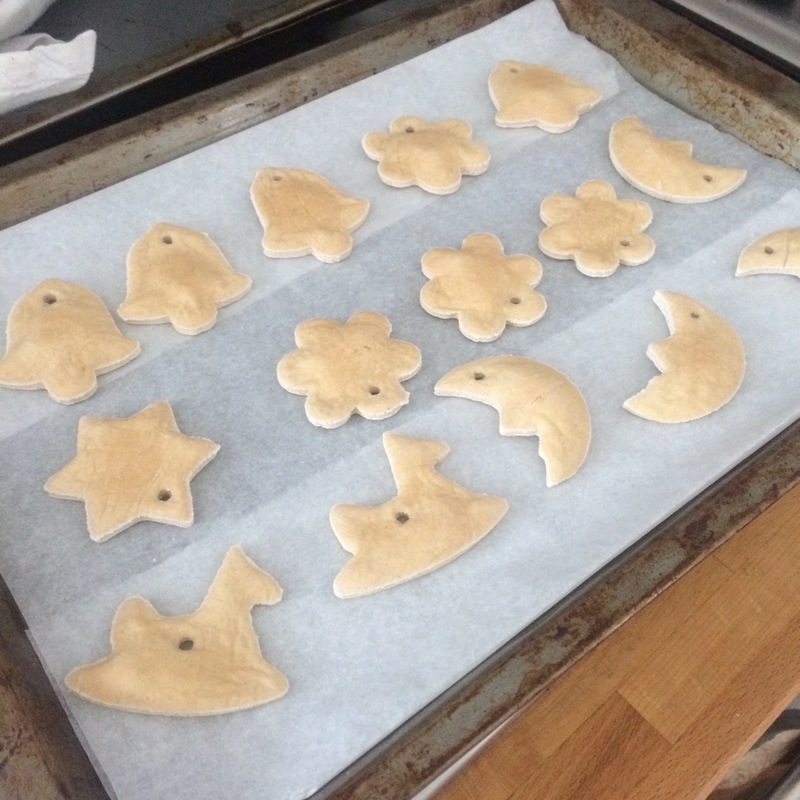 So after checking with their mum, I arranged to come over early and decorate some salt dough ornaments with them. 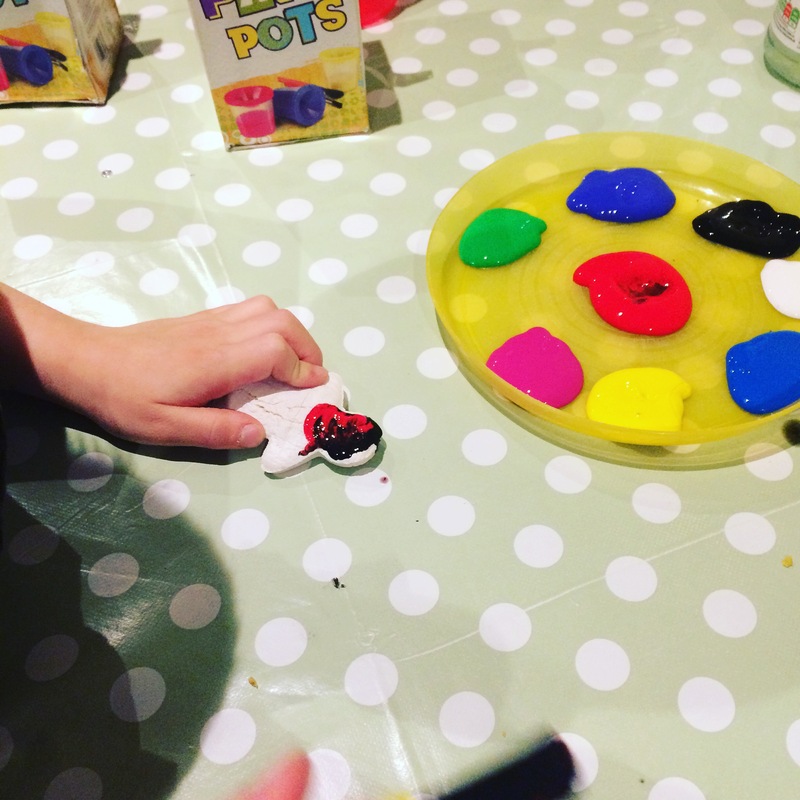 Time after school is tricky, children are tired and time before dinner and bedtime is short, so I didn’t want to do the actual making with them because it would take to long to get to the good bits. On Tuesday, I made the ornaments. I used this recipe on Wholefully and baked them. Mine turned out a bit puffy but I quite liked the effect! After they had cooled I used a spray paint primer on them and allowed them to dry over night. On Wednesday, I let the children loose on them! A quick spray with clear sealer and we were done. You may not get so much glitter all over the place! I think if you just spray painted them, they’d make really good gift tags. 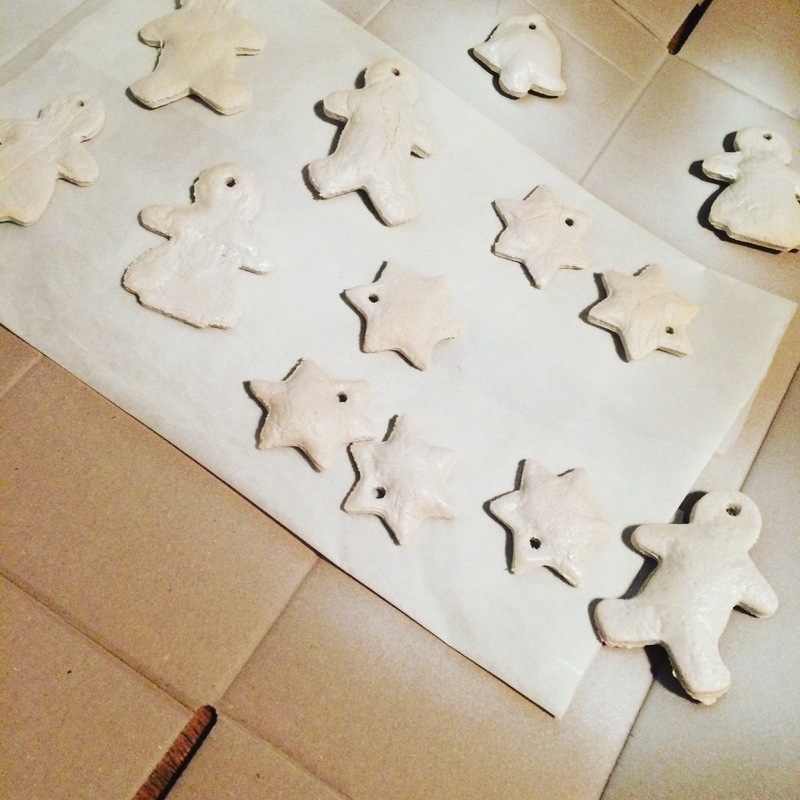 This entry was posted in Christmas, Handmade, How To and tagged DIY Christmas decorations, Handmade Christmas, how to, salt dough, salt dough ornaments. Bookmark the permalink.